Writing may come naturally to your teen – or it may be a source of frustration or fear! Give yourself and your teen some breathing room to enjoy the writing process using these simple suggestions. The next time you assign a writing project, show your teen that you’re a good sport by writing your own composition. Then ask him to evaluate your writing. This will give your teen practice in editing as he searches for grammatical or punctuation mistakes. You can also suggest he gives you ideas as to how you can improve your paper. These activities will help him to focus his attention on the details of your composition, and also put these same efforts into gaining a better understanding of how to improve his paper. If writing does not come easy for you, share this revelation with your teen. This realization – that others find writing to be difficult – may remove some of his reluctance to write. 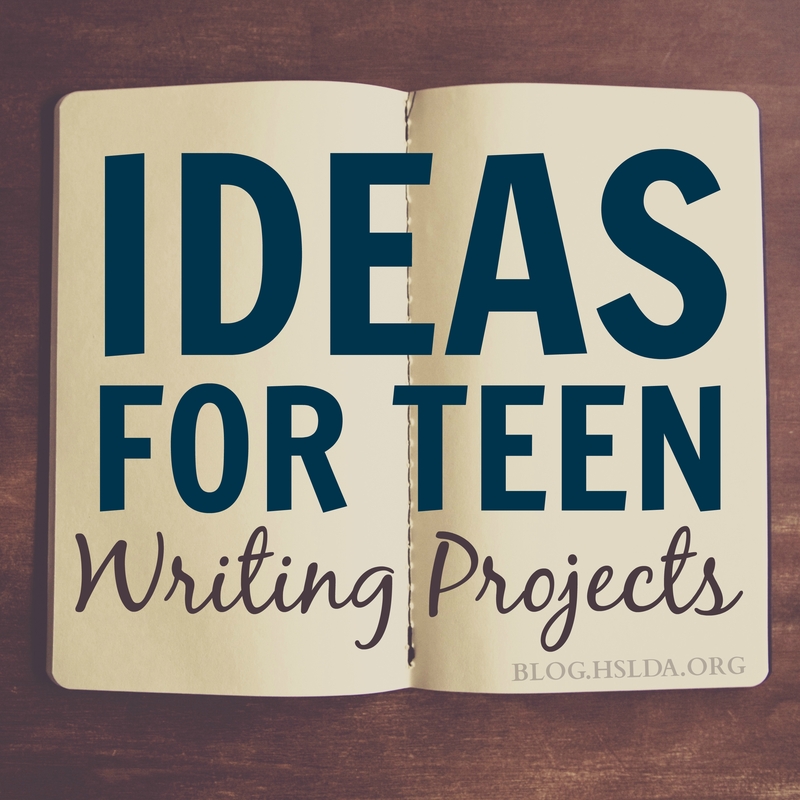 Working on a writing project with your teen can provide an opportunity for the two of you to brainstorm ideas, talk through how best to organize the paper, and give your teen a jump start to approach the writing process with enthusiasm instead of dread. We all have favorite activities that we enjoy. Write an essay convincing readers to try the activity that you enjoy most. Is “an eye for an eye” a good basis for determining an appropriate punishment? Why or why not? Use speciﬁc reasons and examples to explain your position. Is reading ﬁction a waste of time? Why or why not? Explain your answer using speciﬁc reasons and examples to support your position. What would improve your hometown? Write an essay convincing town ofﬁcials to make a change that would improve your neighborhood. Write an essay explaining why you should be admitted to a particular college. Movies and literature often deal with the theme of “counting your blessings.” Tell about an experience that led you to appreciate someone or something you’d taken for granted. First impressions are often very important. Describe a time you got (or gave) the wrong ﬁrst impression. Every culture has its own rites of passage. Describe your experience with a rite of passage in your culture. Discuss the key events that you would offer to a person writing a biography of your life. Discuss the themes of two fairy tales that you know. Tell how these themes beneﬁt young children. >> Find many more writing prompts here. This site also provides rubrics for evaluating writing samples and scored examples of essays. Having your teen read through the scored essays can be beneficial as he makes comparisons between the high and low scoring essays.